Please Let Us Know You Were Here And Sign Our GuestBookBefore Leaving! 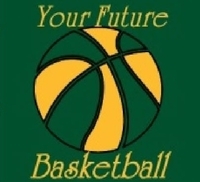 Your Future Basketball, Inc strives to provide a safe and structured environment as well as provide the best possible experience to our student-athletes and their families. As a requirement of the NCAA, ALL coaches for teams with student-athletes in the 8th grade or above are required to obtain a USA Basketball Gold License to coach in NCAA certified events.